In HIS Name HR is honored to have been retained by the Institute of Lutheran Theology (ILT) to seek their next Dean of Academic Affairs. The Institute of Lutheran Theology is a Christian faith community, seminary and graduate school that rigorously equips faithful pastors, teachers and lay people to effectively proclaim the gospel and serve Christ’s church throughout the world. 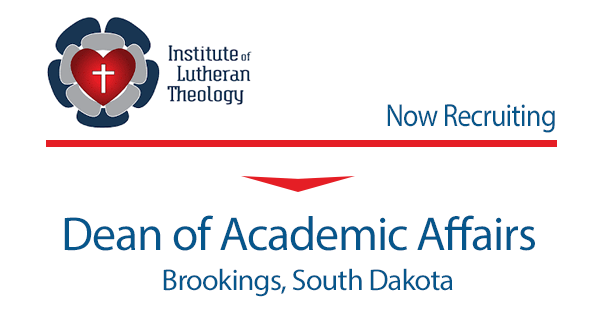 The Dean of Academic Affairs administers the academic programs of the Institute of Lutheran Theology (ILT) and is responsible for ensuring they fulfill ILT’s Mission Statement and Institutional Learning Outcomes. He/she takes a responsibility for policy related to ILT’s academic programs. A terminal degree in a theological discipline with experience teaching at a college, university, seminary, or graduate level. 3–5 years of administrative experience in a higher education. Ordained Lutheran pastor with ministry experience preferred. Adherence to the Institute of Lutheran Theology’s Mission, Vision, Goals, and Values. The Dean of Academic Affairs is a member of both the Graduate Faculty and Certificate Faculty and may teach courses as duties and time allow (normally, not more than two courses a year). The Dean of Academic Affairs authors academic and general audience articles and books as time allows. Presides at the monthly meetings of the Graduate Faculty Senate and the Certificate Faculty Senate. Seeks out and recommends new members to both faculties, as needed. Recommends adjunct faculty to the President for appointment, as needed. Assigns courses to faculty members. Ensures that students receive competent academic advising from faculty. Develops academic policies in consultation with the Graduate Faculty Senate and the Certificate Faculty Senate and is responsible for implementing them. Leads the faculties in developing, implementing, and improving the curricula of the academic programs so that they fulfill their Program Learning Outcomes. Adjudicates student appeals presented according to the academic appeal policy. Approves or denies all transfers of credit, course substitutions, and similar issues in collaboration with the registrar. Recommends candidates for degrees to the Graduate Faculty Senate and the Certificate Faculty Senate and brings the faculties’ recommendations forward to the President and the Board of Directors. Supervises the preparation of the text of each year’s academic catalog. Publishes and maintains an updated faculty handbook. Oversees the Academic Department budget. Negotiates articulation agreements with other institutions of higher learning in consultation with the faculties and the President. Supervises the writing of grants, as needed. Creates an Academic Assessment Plan for continual assessment of how well ILT’s academic programs achieve their Program Learning Outcomes. Oversees the administration of the Academic Assessment Plan. Prepares an annual Academic Assessment Report and submits it as a foundation for planning to the President and the faculty senates. Works with faculty members to delegate assessment responsibilities, as needed. Designs, builds, and maintains educational programs for lay people. Communicates with potential instruction sites, pastors, instructors, and leaders. 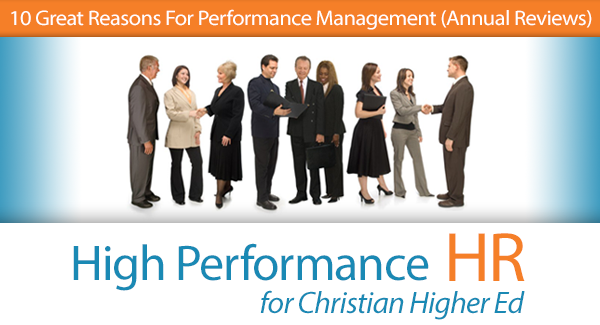 Helps plan and prepare educational events for pastors and lay people. Advertises and promotes educational ministries. Builds and maintains relationships with all congregational partners. Contributes toward developing and amending the Enrollment Management Plan. Assists the Admissions Coordinator, as requested, in counseling with potential students. Assists, as requested, in developing recruitment materials. Displays a professional image at all times, even when facing significant job challenges. Submits to the Cross of Jesus Christ. Delivers on commitments made to others. Takes ownership for resolving problems, rather than allowing them to persist or simply pointing them out to others. Listens to all ideas and thoughts of others. Adapts quickly to changing situations, including last-minute changes and scheduling disruptions. Willing to consider new information, ideas, or strategies to achieve institutional goals. Anticipates potential reactions or concerns of staff and students to a situation and prepares to address these. Boldly asserts the truth of the gospel. Builds ownership for new initiatives or changes by involving those responsible for implementation in planning the details. Avoids any action or situation that gives the appearance of unethical or inappropriate behavior. Demonstrates the courage to do the right thing in difficult situations. Holds oneself and others accountable for meeting the high standards of the institution’s integrity. Leads by example by modeling ethical practices and standards. Treats others with respect, fairness, and consistency. Demonstrates empathy and understanding when addressing sensitive issues with others. Is hospitable in serving students. Maintains appropriate standards of confidentiality. Organizes department materials, including recruitment and department informational handouts. Administers procedures for Academic Department. Adjusts communication style and language to most effectively connect with different/diverse audiences and individuals. Follows through with students and staff to ensure that important information has been understood. Communicates information concisely and clearly. Clearly explains complex concepts (e.g., schedules, policies, and procedures) and at an appropriate level of detail. Maintains an appropriate level of contact with administration to keep them informed about important or controversial situations that may arise. Communicates professionally with all levels of employees in the institution. Possesses effective interpersonal communication skills, both written and verbal, plus organization and presentation skills. Exhibits a strong desire to be a part of an institution that combines commitment to the divine with an entrepreneurial spirit. Location will be Brookings SD. Position will be closed to further applicants June 1, 2019. With these in place, everyone in the organization starts out on the same page. Better yet, clients and customers know what to expect and it builds additional trust. They appreciate the organization’s investment and articulation of these commitments. However, it’s not as simple as punching out three sentences to propel your organization forward. There is an important process to creating potent organizational statements to ensure they truly succeed. Today, we’ll look at the 4 mistakes commonly made during the creation of an organization’s Mission Statement. Done poorly, a Mission Statement can actually undermine the high performance leadership hopes to attain in the first place. Mistake #1: Not including employees in the process. When leadership creates a Mission Statement in a vacuum, employees are far less likely to appreciate it, accept it, and, most importantly, execute it. Instead, your organization should first get input from a group of employees that make up a good cross-section of capabilities and responsibilities throughout the organization. At this point, too many organizations find that employees have little idea what their organization really stands for or why they are doing what they do. 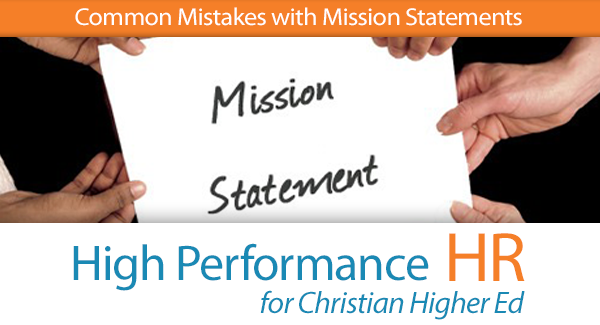 Unless you’ve clearly articulated a Mission Statement, you can’t blame them. After employee input, the leadership can approve and improve on what comes from the employee input group. With a Mission Statement in place, employees do more than just show up. They arrive to work with a renewed orientation to the organization and feel like they are doing something meaningful. Everyone wants to play a part in something bigger than just themselves. A Mission Statement gives them this opportunity. By including them from the start, employees not only start to think from a high-performing standpoint, but they also feel respected and appreciated for their input at the outset. Mistake #2: Creating a Mission that is too broad or too lofty. Compare them to one from Charity Water. It gets to the crux of their mission. Mistake #3: Not rolling out the new Mission appropriately. A good Mission Statement is woven into the very culture and fabric of your organization. It’s not just something that goes on the wall and the website. It gets incorporated into all the material of your organization. During your hiring practices, organizational meetings, performance reviews, and in job descriptions, you should have direct tie-ins and references to your Mission. After all, your organization is centered on a Mission: its purpose for existing. EXPERT TIP: Your employees are great idea factories to help find new ways to proliferate and enact your organization’s Mission statement in multiple ways that will make a big difference. Get their input. Mistake #4: Not communicating the Mission to your key stakeholders. Your key stakeholders are your students, parents, vendors, and suppliers. Your Mission statement should be integrated into your interaction with them, and in all the material, marketing, and communications you engage in together. Your Mission Statement is the central feature around which your organization revolves. That means, it’s not just an internal document. Make sure you publicize it, every chance you get. You don’t have to tackle the process of creating a Mission Statement alone. You can hire an outside HR expert to guide you. 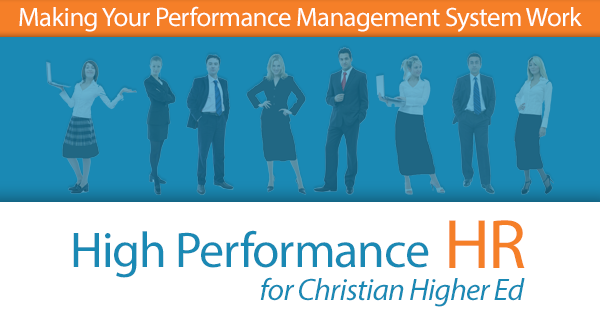 There are other helpful HR resources too, like the HR Mastery Toolkit we have created to make your organization high-performing in this and other areas. It teaches and guides you in the best practices of some of the top, most effective organizations in the world. 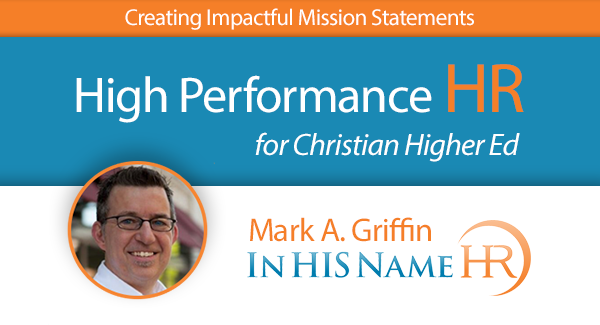 When you create a Mission Statement using a top-notch process, you’ll find that performance on every level improves. Not only do you save costs and improve quality and productivity, but also being employed at your organization becomes much more enjoyable. 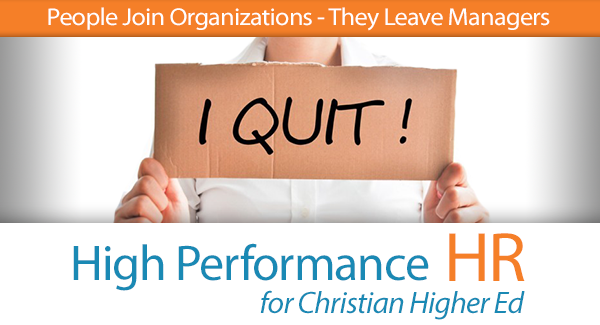 Do you wonder why good employees leave your organization? This statement from Bill Hybels has resonated with me for years, but never more so than when I had this conversation. My conversation with a young professional twenty-something started simply enough. My eyes widened as I listened to this passionate young lady talk for more than half an hour about how she and many of her colleagues want so much to impact the organization they work for, but how management there is weak and how the leadership completely lacks direction. People are not held accountable, she explained. There is no collective vision as a team and new folks are not brought on board with any sense of excitement or motivation. I nodded. I knew exactly what she was talking about. I’d seen it for myself in many instances. Eliminating the kind of frustration she was feeling is one of my greatest motivators in doing what I do, helping leaders move forward and build high-performance organizations. So, what’s going to happen? It wasn’t hard to figure out. She made it quite clear—she won’t put up with it for much longer. Instead, she would become one of the many sharp, smart people I’ve encountered who choose to exercise their skills in more fertile fields instead of enduring such barren conditions. They go on to positively fertilize other organizations, contributing to a sustainable harvest by taking them to greater levels of efficiency and performance. Meanwhile, those organizations with chronically weak and mediocre managers fade, eventually cease to operate, and die. Maybe not right away—it may take time, but ultimately they fail to survive. If your organization has great leadership, is on the ball, and inspires and motivates all of its employees, including its young All-Stars, then you are indeed building a high-performance organization. Finding and keeping qualified talent has never been more challenging or expensive. Too many organizations implement haphazard hiring methods that are not only inefficient, but also potentially illegal. Are people hired systematically at your organization? 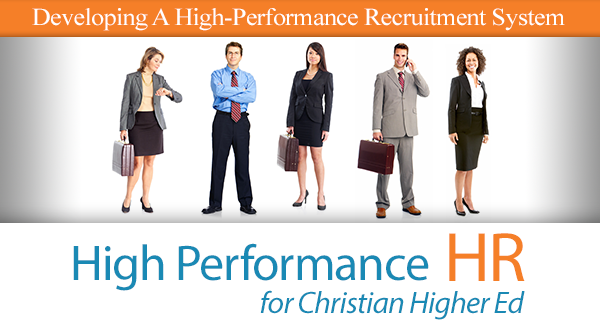 The best organizations in the world use sophisticated processes to find and hire new workers. If you don’t have a solid system in place to hire workers, consider creating policies, and putting them in writing, that outline your process in detail. Here is a checklist of 4 action steps that you should ensure your HR department is following. By using these steps they will simplify the hiring process for your organization. Having interviewers complete a Candidate Evaluation Form on every candidate after each interview. Sending the offer letter for the candidate to sign, and ensuring it is returned to you. If the candidate fails the background or D&A test, the candidate is notified by HR and you return to initial pool of interviewed candidates, choose one, and begin the hiring process again or expand the candidate pool and begin again. When you implement a consistent system in your hiring practices, you will increase the efficiency of your organization, saving time and money, and eliminating confusion, both now and in the future. Also consider the fact that by using the right recruitment approach you are also marketing your organization to potential students? Any dollars spent in recruitment marketing also benefits your institution from a brand recognition perspective. Most organization employees I meet with say they have no idea what the yearly top two or three goals are for their organization. A great performance program sets these goals as their starting point. Ninety-nine percent of employees in this country want to do well at work, but we lack leaders who know how to align their desire to achieve to the organizational goals. Performance management can help to develop fair and more equitable base lines for reward allocation, wage fixation, raises, incentives, etc. How important are employee performance reviews in your organization? Leave your comments below!